Yesterday I went with DD to the store and bought my first pair of gardening gloves. Plus a bag of potting soil. 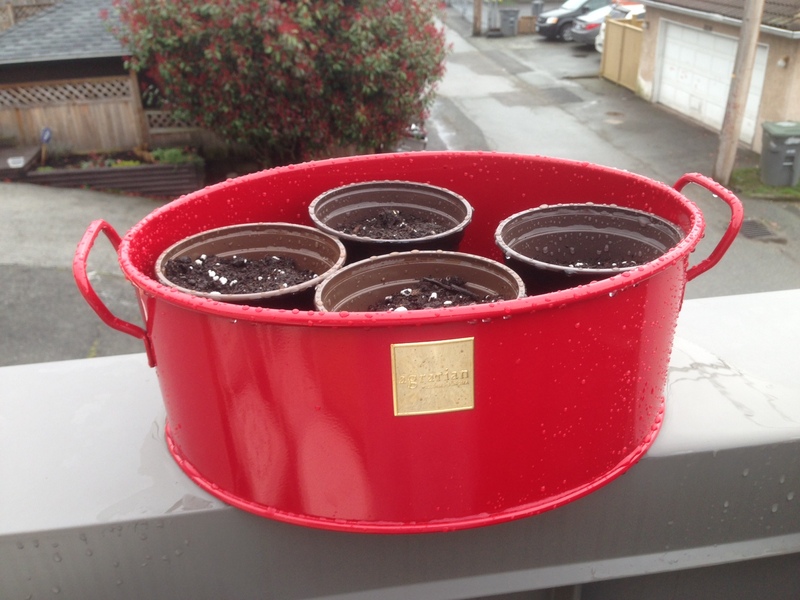 Then, while she carefully delineated and planted her first sowing of vegetables in a narrow strip by the sidewalk, I planted eight little pots with herbs. One thing that you should definitely know if you are planning to build a laneway house (and I hope you are!) is that landscaping is a very important part of the process. I’ve written about this before but it bears repeating, you have to have a plan. 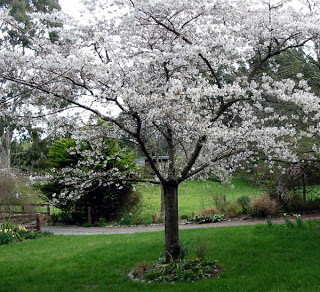 landscaped with trees, shrubs and lawn to the satisfaction of the Director of Planning. 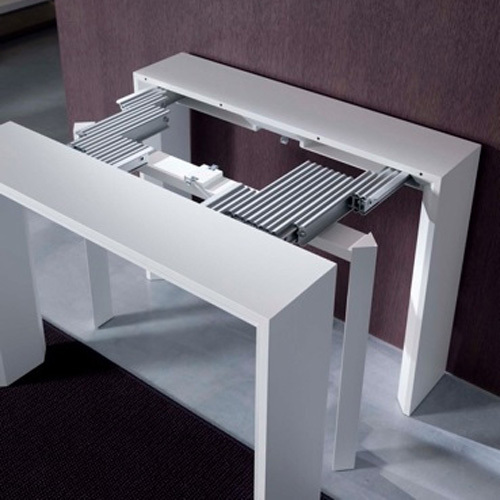 provide direct access to any building or use on the site. That’s bureaucrat for “you need some plants here, people”. And in the Guide the City of Vancouver provides they even list some plants that take these factors into consideration. Also not at this luxurious stage as yet — but will be! When you are planning your laneside plantings, you are not allowed to put in anything that will obscure the front. We originally wanted to put in some tall bamboo in a little hedge, but it was pointed out that would provide the perfect hiding place for someone who wanted to break into our place or who wanted to give us a little surprise when we came to the front door. As well, because the occupants of the laneway, us, are family, we do not have to have a specially dedicated area of yard just for us — but if we ever want to rent the place out we will need to have a clearly defined area of yard just for the laneway tenants. It’s also very important to remember that your landscaping should be substantially in place before final inspection is completed. So unless there’s a foot of snow on the ground, it’s expected that your plants will all be planted and your land will be scaped. When planning your walkways, sidewalks have to provide a hard surface from the street in front of the main house right to the lane and the laneway door — no meandering gravel walks — for emergency services to get to the laneway if they are needed. When you are planning your laneway build keep all this in mind. Just as with the design of the home itself the landscaping design has strict rules to follow, but you’ll end up with a space you really love. Posted in Housing, Laneway House, Small House and tagged Lane Home, Lane house, Laneway House, Small Garden. Bookmark the permalink. Last week we went through our belongings in our storage locker and renewed our pledge to live with less. It just makes sense. But how do you resist the lure of retail? After all, temptation is all around us — we see new and shiny things (or in my case, old and patinaed things); advertising is everywhere reminding us that we NEED NEW STUFF. 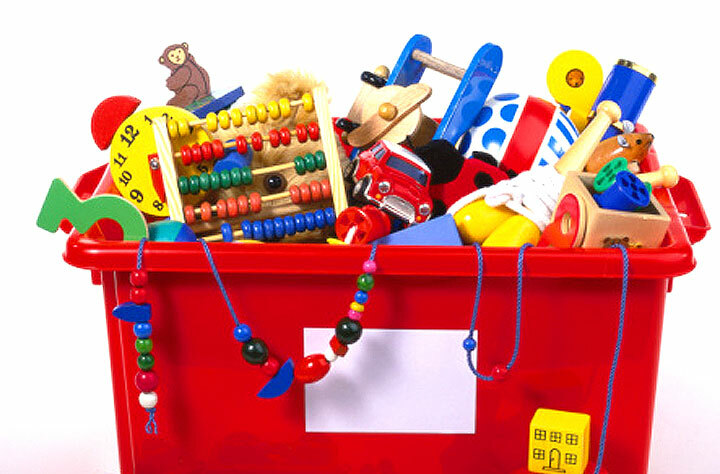 At this point it’s mostly toys anyway, isn’t it? In the nick of time comes two articles from Apartment Therapy to help strengthen our resolve to fill up our lives with useless items. First of all, avoid the idea that you are missing out on a bargain if you don’t buy that particular shirt or shoes or chatchka. 1. Avoid high pressure sales tactics. We’ve all done it, gone into a shop for one thing and felt the pressure from the sales staff to get more. Hey, it’s their job to sell you stuff. But it’s not a personal rejection if you don’t submit to their wiles. It’s your job to stick to your original plan. You should always be aware of what you need, and what you buy frequently. If you don’t keep a list in your head you may find yourself prey to the next item. You’ve got a shopping cart (in real life or online). Why not just slip in a couple of things that are on sale but are not exactly what you need RIGHT NOW? Don’t do it. You will regret that expensive impulse when you get the items home. You know you will. And if you bought it on sale you may not be able to return it. 4. Check the measurements and read the product info and reviews. One of the great advantages of shopping online is being able to read the product reviews. Those have saved me from many a foolish expenditure. In a retail store be sure to check out the size on the package or you’ll come home with sheets that won’t fit your extra-thick queen mattress. When we were stocking the laneway I subscribed to several on-line shopping services. They were great when I knew I needed one white duvet and two sets of white queen sheets. I was able to compare and was quite happy with the deals I got by waiting and checking often. But I don’t need them any more. There will come a time when I have to replace the sheets/towels, and I’ll subscribe again. But right now I do not want to see a supermarket of attractive items coming through my inbox and tempting me to purchase them. Maybe you know you have to buy a new shirt or blouse in an exact colour. 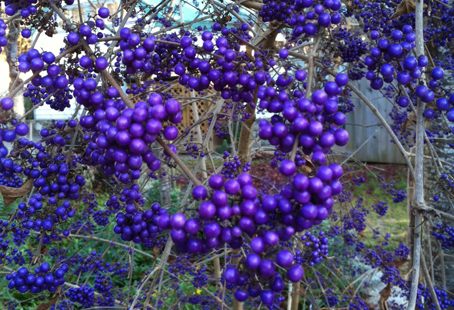 Find a sample of that colour and carry it with you to the stores. It’s a reminder that you need THAT particular item and nothing else. Yesterday DH and I took a little walk along Main Street, looking for a particular item. I had a fabric swatch of the cushion covers I am making and we needed a little tray in a matching tone to sit on our ottoman and serve as a coffee table. We whisked through second hand stores and thrift shops, zipping through in minutes because we knew exactly what we were looking for. (We found it, BTW in the Vancouver General Thrift Shop for 50 cents). So we’ve safely navigated the swamp of retail stores as far as impulse buying goes — what about the danger of (dun dun DUNNNNNN) Stocking up. We can’t do it here. We just don’t have the room for a giant case of paper towels or toothpaste. 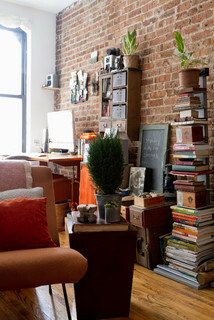 So this article in Apartment Therapy speaks to us in the dulcet tones of truth. When you have limited room and are not expecting the apocalypse, store it at the store. What could be standing in your way? You can save money on large quantities of things like paper and laundry products. But we know well how much storage costs — we are paying for a storage locker. How foolish it would be to use our in-home storage for bathroom tissue rather than bringing our good crystal home from that expensive lock-up. We have to go to the grocery at least every other day — our little fridge doesn’t hold very much. And that is fine with us, we are close to 3 major grocery stores, two of which offer clothing, housewares, and yes, small appliances. So stocking up on the bulky stuff just does not make sense when we’ll be back buying milk tomorrow. Once again, see Roadblock 2 above. We are close to the store. Running out means literally running out — the stores are open early and close late. Plus we keep an on-going list of what we need. We usually buy replacements for our dishwasher detergent or toothpaste just before we run out — and of course our neighbours can always help us out. I think it’s a good idea to borrow a concept from our Zen teachers, but instead of mindful meditation we practice mindful spending. Posted in Decorating, Laneway House, Minimalism and tagged Lane Home, Lane house, Laneway House, Small Style. Bookmark the permalink. 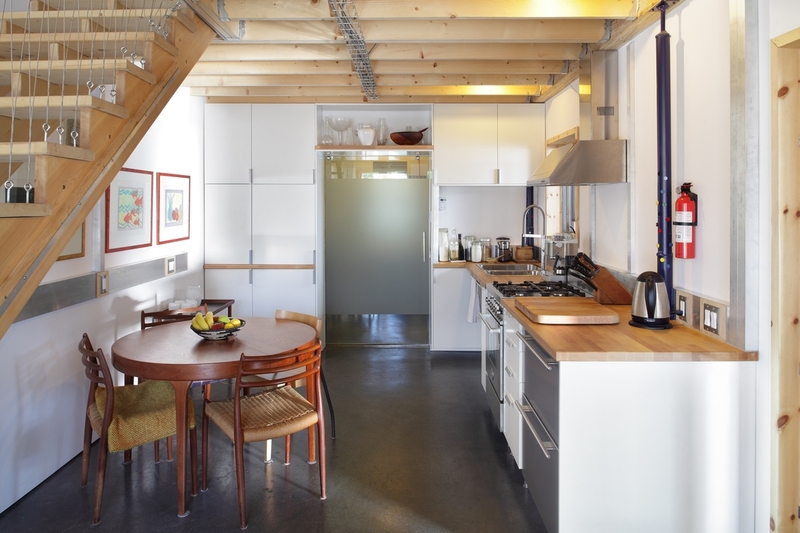 Learn more about building Laneway Houses from the experts! 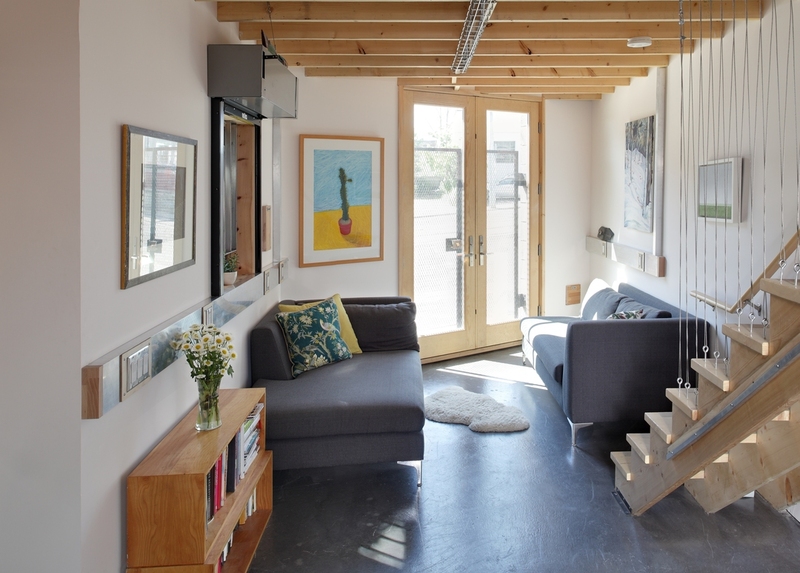 If you are interested in building a laneway house on your property, or if you are just curious about the process, then you owe it to yourself to attend a presentation on Laneway Houses on Wednesday, March 12. BTW, that address is quite accessible by bus, if you would like to go but don’t have an automobile. But there’s lots of parking there if you want to take the car. 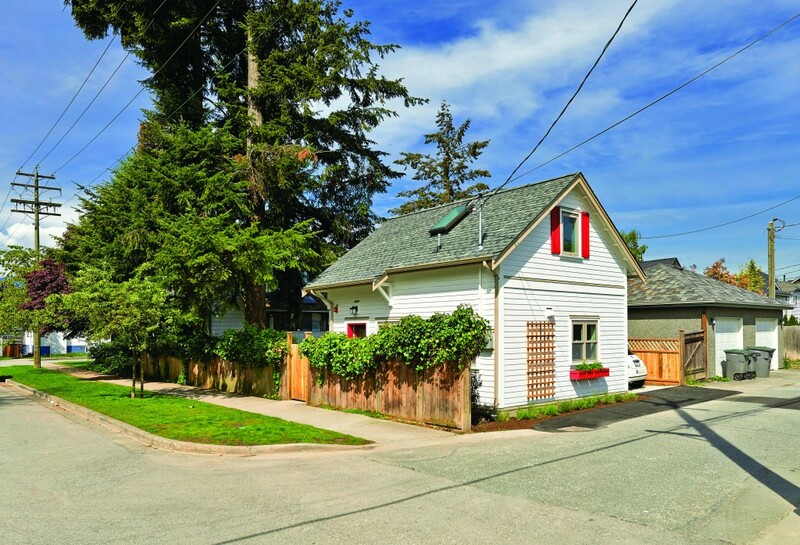 Posted in Housing, Laneway House, Uncategorized and tagged Lane house, Laneway House, Neighbourhoods, Vancouver. Bookmark the permalink. Who wants to live the small life? Have I convinced you to live in a small house yet? Lots of people love living the small life — and bring great gusto to it. And not just on mountain tops and deep in forests. These people found smaller is better even in the biggest cities. Designer and architect Rohan Walters built an 1100 square foot “Driveway House” in Toronto in a space that was just 12 by 40 feet. 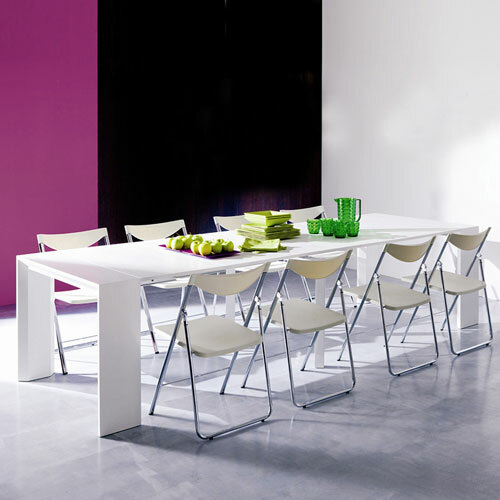 Read more about it here where Humble Homes drew our attention to it. The use of glass walls and frosted panels allow lots of light to penetrate into the interior of the home. I particularly like how the electrical outlets are placed high on the walls along a silver-coloured strip. And it’s super efficient, too, using as small an environmental footprint as it does a physical one. In the heart of Paris, clever use of design by Julie Nabucet and Marc Baillargeon allow comfort and style in just 130 square feet. Thanks to Tiny House Talk for the heads up. The bed pulls out from underneath the raised kitchen area. And I love the bold touch of the red kitchen cabinets. 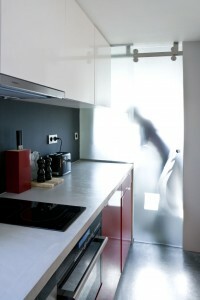 This angle allows you to see how they’ve brought light into the kitchen through the clouded glass of the bathroom door. In decorating her studio, she was inspired by both New York City and rural Chilean Patagonia. She wanted to create an urban refuge but was also drawn to rough woods, thick wools and warm colors, which were naturally suited to the apartment’s existing brick wall. 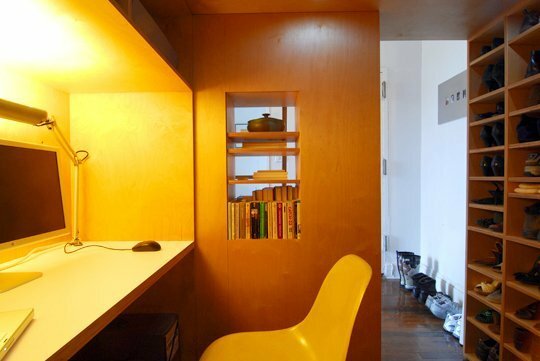 Even this tiny NYC apartment shows us warm wood and rich textures. This story from Life Edited shows how they’ve fit so much into the tiny area without looking cluttered or “stuffed”. 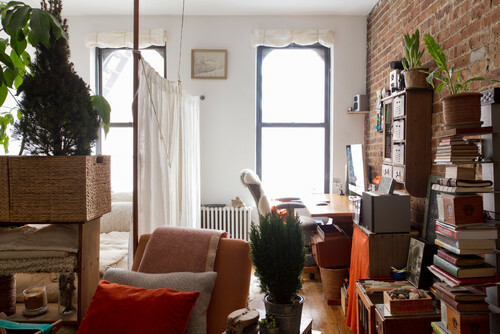 From Apartment Therapy we learn about another tiny home, right across the bridge in Brooklyn and just 460 square feet. They have used light wood tones as well to make their house look warm and yet clean and elegant. But the secret to living in such a small place is in building up. Looking the other way in the suite we see how they have created a second story in their sleeping loft. 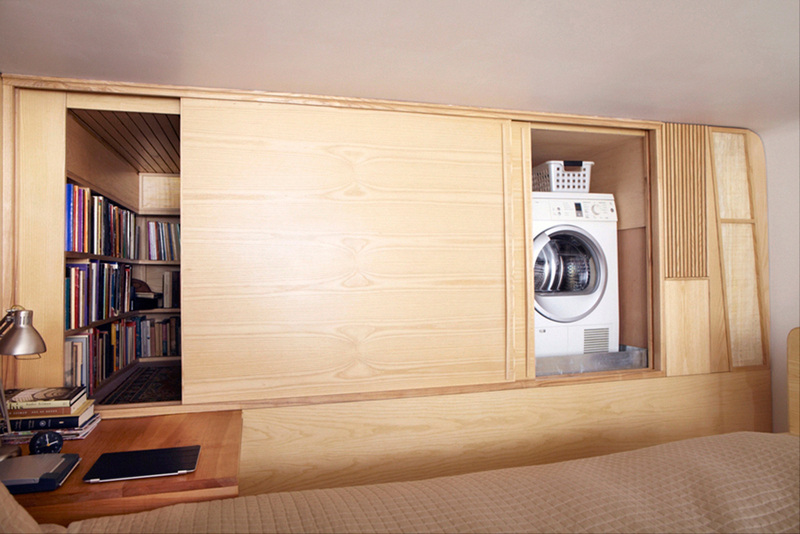 Lots of clever use of built-in storage, plus an office area tucked under the bed. Big cities and small homes. The perfect combination. 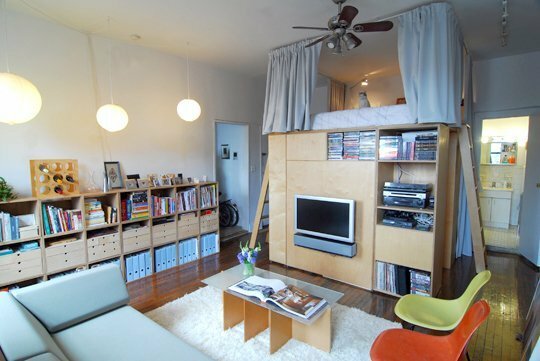 Posted in Decorating, Housing, Laneway House and tagged Lane Home, Lane house, Laneway House, Small Style, tiny apartment. Bookmark the permalink. 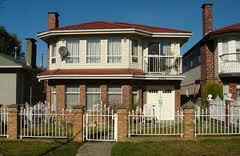 Many years ago I was walking down a residential street here in Vancouver with a much younger friend of mine. We were both looking at the houses, stating our preferences. I was rather surprised to learn that she wanted a big house. Not just big, not just huge, a monster house. The kind of house that takes up most of the lot, that overwhelms the space. She said she wasn’t planning a large family, or to live in a multi-generation situation. She just liked big houses. I thought she was out of her mind. I still do. Smaller houses are best. There, I’ve said it. And I am prepared to back it up. Northern Homesteader got me started with 12 Reasons to Live in a Smaller House – other than money. Here’s her list, with my comments. 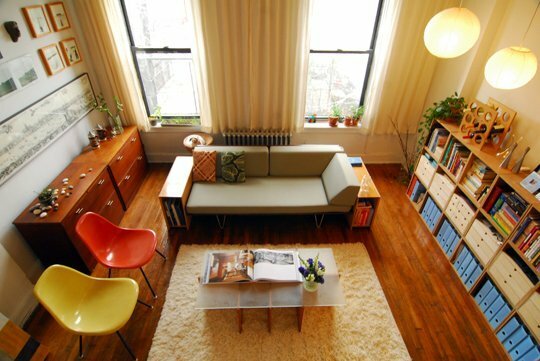 In a big house you have to find your cozy spots, create them with an overstuffed chair or a window seat. But a small house is all cozy corners and intimate spaces. It takes less than 10 minutes for our house to get warm on a cold morning. The radiant heat works beautifully, and there are no cold corners. In fact the laneway house is so energy-efficient that we turn down the heat to 16(C) in the afternoon so it doesn’t get uncomfortably hot. Even if you are going for a bohemian style with every flat surface covered in pictures and knick-knacks, decorating a small house takes less time and energy. Even painting a room takes less time. 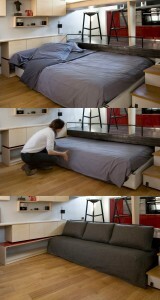 And you’ll need fewer cushions, fewer paintings, and fewer area rugs. So if you want to completely change the look you can do it over a weekend. Our former condo was only 1100 square feet, but it had two full baths and miles of carpeting. To clean it up used to take us most of Saturday. Now we can be out of here in less than an hour, with every surface sparkling and every floor damp-mopped. It’s funny, when you have a big home, how little time you spend in the same room as another person. You might drift through the kitchen while your husband makes dinner to grab a glass of wine before you go back to watching the news in the front room, but you don’t actually have that much face time. But in our laneway, I can be in the “sitting room” doing the crossword while DH is making dinner, and we are sharing and chatting, and sometimes watching the news together. Yet when we want some private time there is always a little corner where we can be alone. In our condo we had storage space galore. Closets stuffed with clothes we didn’t need any more, an entire storage room just for stuff, 50% of which we didn’t use. But now we have to find storage in every nook and cranny. The space under the stairs. the space in the stairs. And since more of our stuff is on display we have to find ways to make it attractive. There’s a reason I keep watching those decorating shows. We used to have a pile of papers in the kitchen. Also one in the front hall. And one in each bedroom. No more! I keep a (lovely) basket where I put all the papers that come into the house. Once a week I go through it and toss what we don’t need and file what we do. Bills and bank statements I get online so there’s less paper coming in. Clutter makes a small house look very messy. It also makes a large house look very messy, but there’s more places to hide it. When DH is out I know I just have to lock the two doors and this place is a fortress. No dark corners or iffy locks. Maybe that’s not your goal. Maybe you look for ways to complicate your life. But buying less, cleaning less, fussing less is what I want. I thought it was funny when I read this — because that is exactly how I feel! Less stuff makes you feel freer. It’s part of 9., but it’s more than that, too. Last week I was feeling a bit closed-in. You can feel that in a large space, too, but I knew what I needed, a brisk walk to the store. Our small fridge means we buy less, and shop more often. So we get out every day. The blogger at Northern Homestead loves her garden space. And she’s not going to sacrifice it to gain more housing square footage. We like the garden space we share with the main house — their back yard is actually bigger than it was before we built the laneway here because there was a big concrete slab where the house sits. Twelve good reasons to have a small house, but I’ve thought of a 13th. Building the house took fewer resources than building a large house. That’s a good enough reason to build small. But running it takes fewer resources, too. Heating, cooking, running the washer and dryer all take less energy than a larger house with large appliances uses. If we want to be responsible energy consumers that is one more reason to live in a small house. Posted in Decorating, Housing, Laneway House, Minimalism, Small House and tagged Lane Home, Lane house, Laneway House, Small House. Bookmark the permalink.